Illinois Governor Signs Bill to Allow Medical Marijuana as Alternative to Opioids . Gov. Bruce Rauner (R) on Tuesday signed into law a bill to allow patients to use medical marijuana as an alternative to opioids. "Opioid abuse disorder is taking the lives of Illinoisans, thousands of lives. Opioid abuse disorder is disrupting and destroying families across our state and across the country," Rauner said at the bill signing at the Chicago Recovery Alliance. "We've got to do everything we can to stop this vicious epidemic, and today, I'm proud to sign a bill that helps us stop this epidemic. 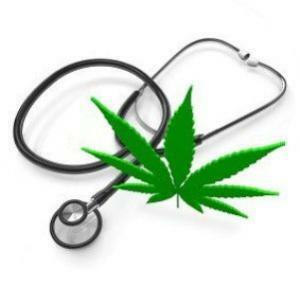 Medical cannabis creates an opportunity to treat pain in a less intrusive, less obstructive way than opioids." Oklahoma Proposed Medical Marijuana Regulations Now Open for Public Comment . State officials are now asking the public for its input on the regulation and implementation of medical marijuana in the state. "Lawmakers in the legislative working group are seeking a path forward to implement State Question 788 in a way that conforms to the desires of voters who passed the law," said Speaker Charles McCall (R-Atoka). "To do that effectively, the working group needs as much input as possible from citizens -- supporters, advocates, patients, health-care providers, public safety and law enforcement officers and even those who have concerns. I would encourage all Oklahomans who have an interest in this issue to use this opportunity to share input and have their voices heard." Comments can be sent to [email protected] . Messages will then be shared with members of the working group. Mormon Church Sends Out Letter Opposed Utah Medical Marijuana Initiative . The Salt Lake City-based Church of Latter Day Saints has mailed a letter to church members urging a "no" vote on the state's November medical marijuana initiative . The letter claims the measure would create "a serious threat to health and public safety, especially for our youth and young adults, by making marijuana generally available with few controls."